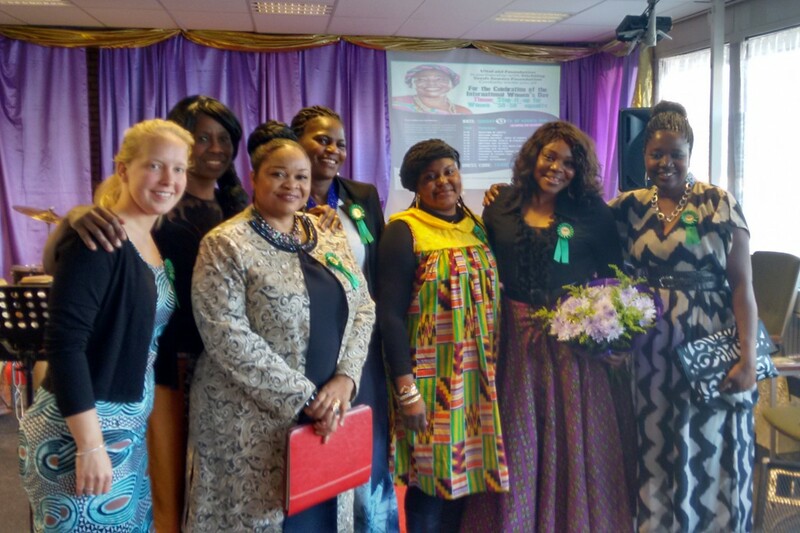 Sunday the 13th of March 2016, I was invited by the Vital Aid Foundation to be the ‘guest of honor’ during the Celebration of International Women’s Day in The Hague. 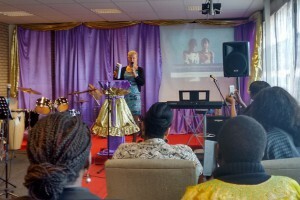 I t was with great pleasure that I traveled on a Sunday afternoon to The Hague for this celebration. The programme was very promising, and indeed, as I expected, I was not disappointed at all. The warm welcome, the beautiful dresses (dress code: traditional dress), the amount of people and the amazing atmosphere: everything was just perfect. Although International Women’s Day is around the world celebrated on the 8th of March each year, the Vital Aid Foundation decided to celebrate it the 13th of March. 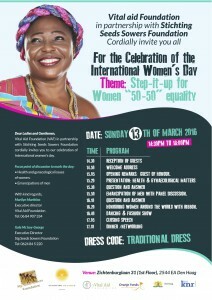 The UN theme for International Women’s Day this year was Step it Up for Gender Equality. After the welcome address of Gale Mc Koy-George and Marilyn Marthins, I gave a presentation about Female Genital Mutilation/Cutting (FGM/C). Marilyn invited to talk about this topic, because FGM/C is still one of the challenges for millions of girls women and International Women’s Day is a time to reflect on progress made, to call for change and to celebrate. During my presentation, I elaborated on the fact why FGM/C is considered a form of violence against women, and a human rights violation. Since some people in the audience were not familiar with the cultural tradition, I provided more background information about the practice as well. I also explained how many girls are affected and in which countries the practice is most prevalent. After this introduction, I elaborated on my research in Senegal and shared with the audience my experiences in the field. After my speech, many questions were posed, that I all carefully answered. Although a panel discussion was scheduled after my presentation, this part of the programme was later cancelled. The reason was that the audience was so enthusiastic and had too many questions about FGM/C. Therefore, the organizers of the seminar decided that more time was necessary to answer all these questions. 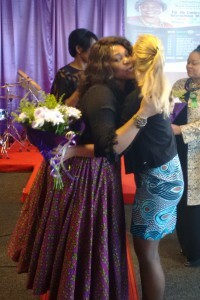 Afterwards, we honored women around the world with a ribbon. Every woman in the room had to walk the red carpet to receive a green ribbon. Then the woman had to tell who they honor and why. It was a very interesting and inspiring afternoon, I really enjoyed it. I would like to thank the organizers of the celebration for the beautiful flowers that I received, the inspiring remarks and comments, the sometimes heartbreaking stories that you shared with me, but above all the good vibe!